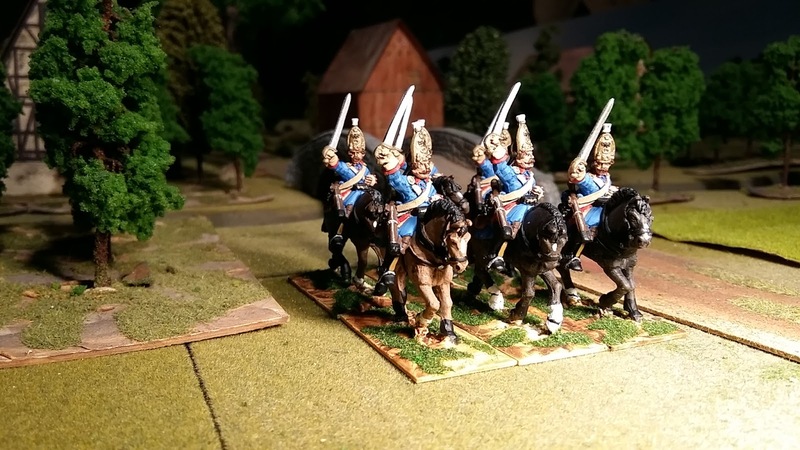 Here are Foundry Russian Horse Grenadiers but not those from actual Horse Grenadier regiments - these are the elite company of Dragoon regiments. The sole difference is that those from Dragoon regiments had blue shabraques while those of the Horse Grenadiers were all cream coloured. 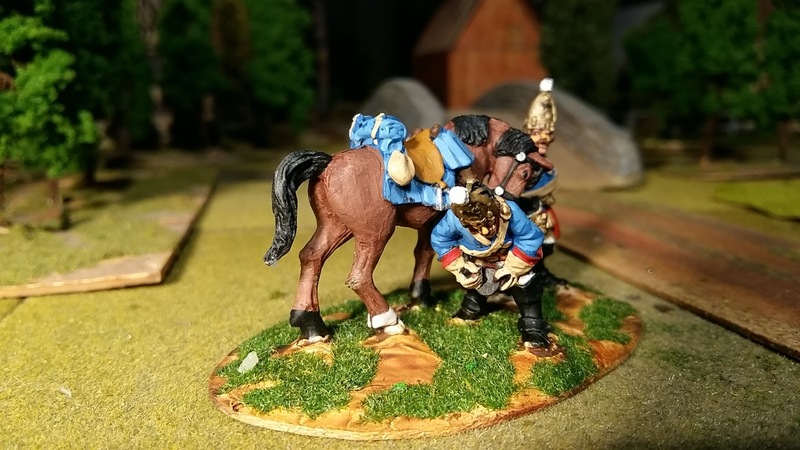 The lower three pictures are of a very nice vignette showing a Horse Grenadier removing a dodgy shoe from his mount. 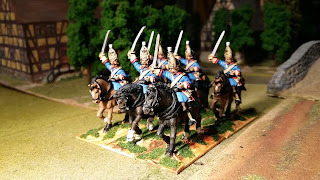 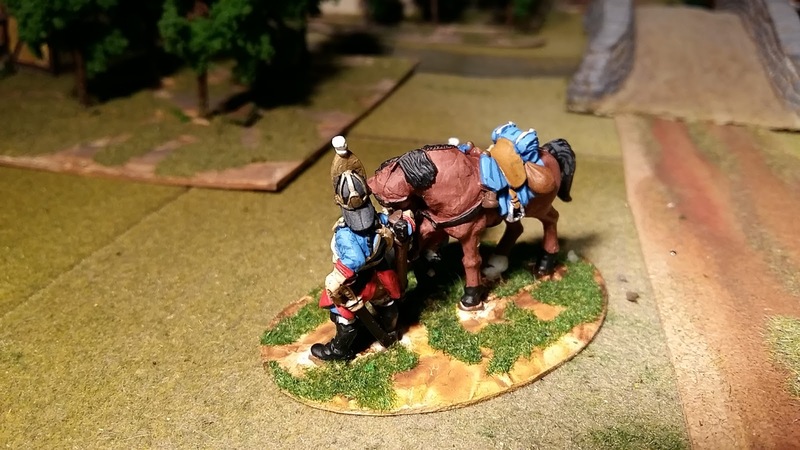 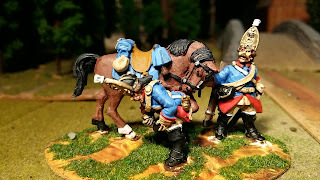 I am now painting five Horse Grenadier regiments which you will see over the next few weeks. All five campaigned in the SYW.